In 1999, the Northwest Montana Historical Society leased the renovated 1894 Central School building - one of the first stone and brick buildings in the Flathead Valley. One of the few lasting examples of Richardsonian Romanesque architecture which still retains its original appearance. Now operated as the Museum at Central School, this elegant facility features exhibits that illuminate local Northwest Montana history. 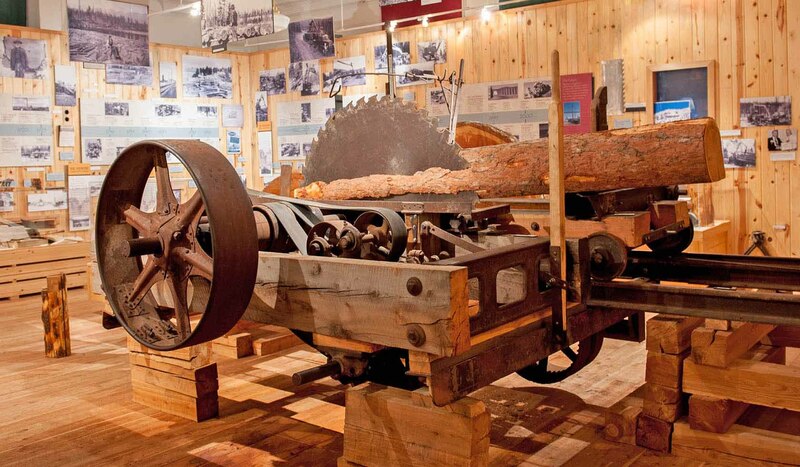 Exhibits include Northwest Native American Culture, Montana pioneer Frank Bird Linderman, the Northwest Montana timber industry, History of Flathead Valley, Early Kalispell, and a display of photographs and text on the turn-of-the-century community of Demersville. The Museum offers tours, programs on local history, a gift shop featuring unique Made-in-Montana merchandise, books on Montana history, and performance and meeting rooms for rent. Ongoing: Western Native American Culture Exhibit at the Museum at Central School. Opened in January 2005, this authentic collection of rare and diverse Native American artifacts reveals much about the Golden Age of the Indian from 1750 to 1875. The exhibit features tools and weapons of bone and stone, beaded items, clothing old and new of hide, trade cloth and muslin, toys of Indian children, and a full size Indian tipi. This is an Indian-based exhibit of unusual authenticity not to be missed. Monday - Friday: 10:00am - 5:00pm Closed holidays and weekends. The Museum at Central School is located at 124 2nd Avenue East, 2 blocks east of Main (Highway 93) and 1 block north of the Hockaday Museum. Kalispell is the county seat of Flathead County, just north of Flathead Lake. Kalispell can be reached via Highway 2 (east/west) or by Highway 93 (north/south). Glacier International Airport is 10 minutes north of town. Amtrak Empire Builder stops in Whitefish, 15 miles north.